The female walked at the back, following her new clan. They were enormous. She'd never seen any apes as big as these and they were hairless and wore strange coverings over their bodies. They were very strange looking. The only time she saw hairless apes was when one of her original clan got too close to a fire on the plains and was burned severely and some of her hair had been burned off her body. She wasn't sure who these apes were or how safe were they but she was willing to put her life in their hands to keep herself safe from predators. She also noticed that the female that dared to speak seemed especially close to the Prime Male. She guessed she was his mate. She thought it strange that there were no other females in his harem though; perhaps they left their clan behind as well? While they walked, she noticed the sky was growing darker. She began to hoot nervously and Prime Male looked over his shoulder at her. "What's wrong?" he said as they stopped. "The sky," Runt said, pointing up at the sky. He looked up at it for a moment, studying it. "It does look like rain," he said, looking back at her. "It is very dark, the glowing stick might hit the ground and kill us," Runt said to him. "I think she means lightning," the Doctor said. "It does look a bit threatening." "We should find a place to hide, Prime Male," Runt said. "The falling water will come soon." "Where?" Rose said, looking around. "It's all open ground, except for the trees." The Doctor grinned at her. "What's wrong, Tyler? Can't climb the trees?" he teased. "No, I live in houses," Rose said dryly. Runt looked at them in confusion. "Water will fall, don't you hear the loud noise?" she asked when they heard thunder in the distance. "Why aren't you finding shelter?" "Well, because our clan does things differently," the Doctor said to her. "We don't sleep in trees." "Where do you sleep?" Runt said, thinking how strange it was that they didn't sleep in trees. "How do you keep safe?" "We fight others and keep ourselves safe that way," the Doctor said. Runt was even more confused by that. They fought off the saber-toothed cats? They must be very strong and powerful. Perhaps it was a good thing that she found them. "Shouldn't we be heading back to the TARDIS?" Mickey said when they heard another rumble of thunder and saw a bolt of lightning strike the ground in the distance. "Not yet, we're here to explore," the Doctor said. "Just follow me, we'll find some shelter." Runt shook her head. 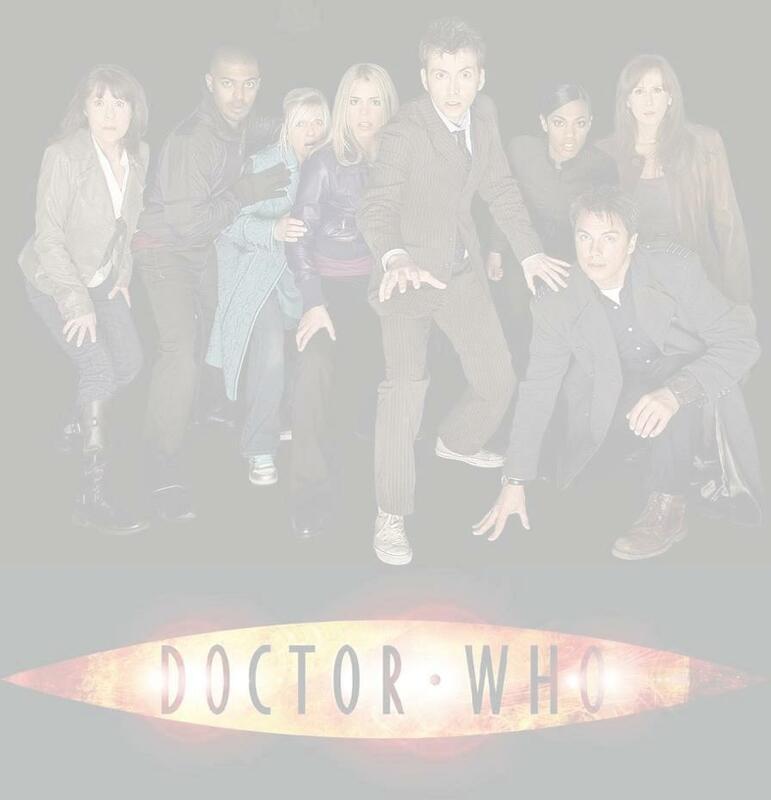 This clan was strange but the Doctor was Prime Male so she had no choice but to follow if she wanted to stay with them. They walked off across the savannah and Runt glanced around nervously, not only at the oncoming storm but also searching for any sign of predators. That was the other strange thing, Prime Male wasn't looking for any danger, was he really so powerful that he had no need to keep watch for saber-toothed cats? Runt felt a light drizzle began to fall and snorted softly. They were still walking and now the storm was coming closer. Then suddenly the Doctor stopped and pointed off to his right and Runt saw a large cave. She stared at it. There was a series of small rocky hills and there was a large hole in one. She grunted dismissively, figuring it was a lair for some animal, possibly a saber-toothed cat. It was dark and enclosed and wasn't a good place to seek shelter since there was only one opening and no room to move. But to her astonishment, Prime Male and the others walked towards it. "Wait!" Runt yelled to them. They stopped and turned towards her. "Cats might be in there," Runt said, pointing to it. She knew she was risking expulsion by questioning Prime Male's judgment. But she thought it was foolish to take a risk by seeking shelter in such an enclosed space. These strange apes might be powerful but she was sure they weren't immune from being eaten by predators. "We'll check it," the Doctor said soothingly to her. "We won't go blundering in without making sure it's empty first." "But what if something comes inside?" Runt said. "How will we escape?" "I have a plan," the Doctor said. "We'll be safe. Trust us." Runt wanted to say more but he was already in tenuous waters now. Her behavior got her kicked out of the last clan and she didn't want to end up alone again so she kept silent and followed Prime Male. When they reached the cave, Runt stood behind Rose and Mickey, keeping her eyes open for predators while the Doctor pulled a shiny stick out of his outer covering. He bent down and went inside and Runt could see a weird blue light coming from inside the cave along with a strange humming that sounded like high-pitched insects. "Do you see anything?" Rose asked as she moved closer to the cave entrance. "Not so far," they heard the Doctor say. There was a loud boom of thunder and Runt hooted in alarm. The rain was beginning to fall faster now and she wanted to run to the nearest tree and get under cover. But before she could run, the Doctor was telling them to come inside. She watched while Rose and Mickey went into the cave and she hesitated, feeling like this wasn't a good idea. The Doctor stuck his head outside and Runt backed up. "I'll protect you, Runt, I promise," he said to her. Runt studied him. She looked into his eyes and suddenly she realized that she could trust this Prime Male. She took a tentative step forward towards the cave and the Doctor backed up and gently urged her to come inside. Runt finally stepped inside the cave and tried to peer into the darkness but her eyes were weaker than most animals and she could barely see Prime Male and the others in the clan. Then the Doctor held up the stick and Runt was shocked when she saw a blue light at the end of it. The room was illuminated in a pale glow while the Doctor pulled something out of his covering. Another larger stick. There was a high-pitched beeping sound coming from the smaller stick and the Doctor frowned at it while he studied the side of it. "That's strange, the sonic is picking up the presence of technology," the Doctor said, looking at Mickey and Rose. "Where? There's nothing here," Rose said, looking around. "It's just a cave." The Doctor turned on the bigger stick and Runt hooted in surprise when a brighter light came out of it. The Doctor aimed the stick at the back of the cave and they saw a larger opening. He looked at the smaller stick again and looked at Rose. "It's this way, whatever it is," he said to her. "I think we should investigate since I seriously doubt they have advanced technology at this time in history, don't you?" "I'm up for a bit of adventure," Rose said. "Yeah, me too," Mickey said, nodding. "Runt?" the Doctor said, looking back at her. "Do you want to come with us?" "I have no choice," Runt said. "How'd ya mean?" the Doctor said. "You are Prime Male, I must follow you or be excluded from the clan," Runt said. The Doctor glanced at his companions before walking back to her. "This clan is different," he said to her. "Here, you have freedom to choose and if you don't want to follow us, I understand and won't hold it against you." Runt didn't understand all of that but she got the gist of it which was she was allowed to say no and not be banished. She wanted to get out of this cave, she didn't have a good feeling about it but the storm was intensifying and there was no time to get to a tree. Besides, she was a part of the clan now and she wanted to be with them. "I will come with you," she said to him. "You sure? You can say no if you want," the Doctor said. "I will come," she repeated. The Doctor nodded and smiled. "Just stay close to us, you'll be fine," he said to her. Runt wasn't too sure of that but when the Doctor led the way further into the cave, she followed him along with the others.